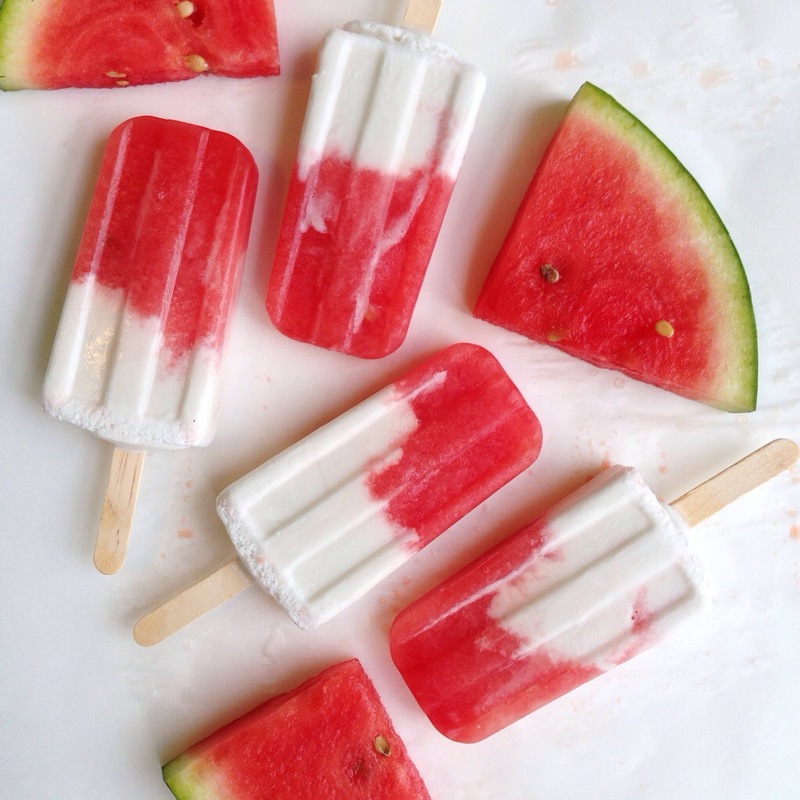 Watermelon & Coconut Popsicles. | Eat More Plants. Pour into popsicle molds 2/3 of the way up. Freeze for 30-40 minutes *optional! If you want your popsicles to look layered (as pictured), don’t skip this. Shake 1 can of full fat coconut milk (really shake it!) to combine the cream and the milk. Pour out 1/2 cup of the milk and mix with 2 tablespoons of maple syrup (or other liquid sweetener of your choice). Fill the popsicle molds to the top with the coconut milk. Freeze for at least 5-6 hours before eating. mmmm these look like a real summer treat! Reblogged this on In Pursuit of a Healthy Me. I could really get into these! now if I can just find the popsicle molds! These look DELICIOUS! I am most definitely going to try making these! Thanks so much for sharing! 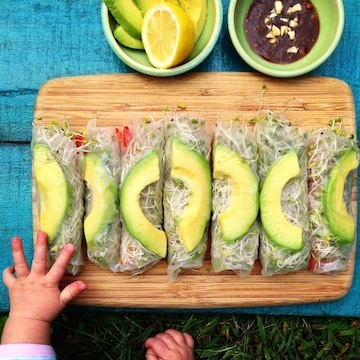 These look too delicious not to share! I am most definitely going to give these a try!